Over the years, as I have become more and more experienced in SEN issues and the law, I have been a bit taken taken aback to find how so many people who are personally or professionally involved in this area, need to know more about the SEN system, This even applies to those people who I feel should know about things because they are working in this area, but seem to be under a misapprehension of what the law actually says. 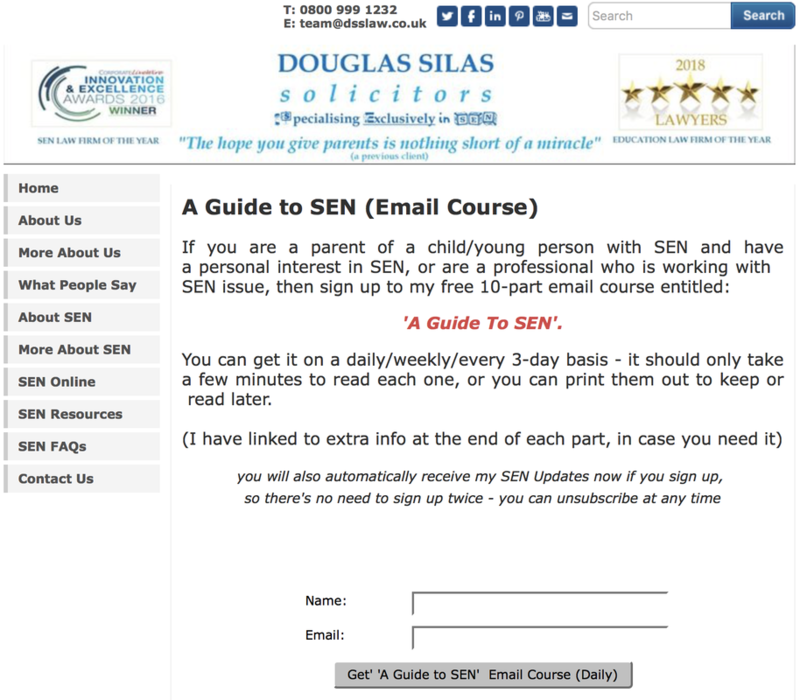 Although, I have always endeavoured to provide as much information as I can on my website, I have recently decided to put together a 10-part email course that anyone can sign up to receive, entitled: ‘A Guide to SEN’, which I have written in as straightforward a way as I can. As always, I hope that this helps as many people as possible. In fact, the email course went up on my website a few weeks ago and many people who have visited my website in the past few weeks may have already seen this and signed up to it (according to the data/stats I have received), even though I have not formally launched it until now. This has been very gratifying for me to learn, as it shows there is a real need out there. So, even if you think you know all you need to know about SEN, please subscribe if you can – you may find out something that you didn’t know before!